Feeding your stomach is normal, it's only when your soul is fed that you feel completely satisfied. Get complete satisfaction by heading to CaveLand Restaurant, an in-house dining at Hotel Gitanjali. Known for serving North Indian delicacies, CaveLand Restaurant is sure to impress you with its lip-smacking food and eye-striking ambience. 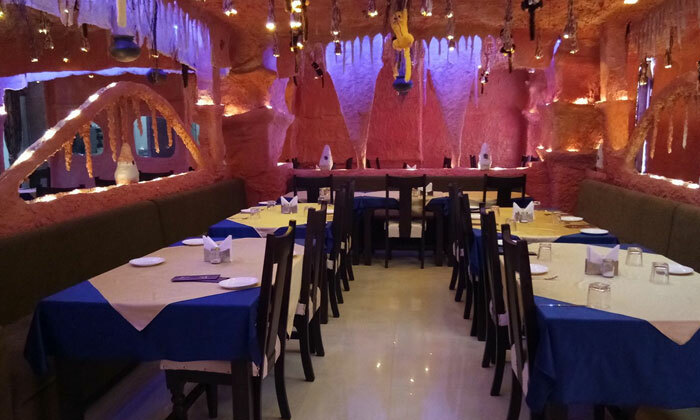 The interiors are all done up with a cave theme, giving you a true feel of being in a cave like those in the Stone Age. CaveLand Restaurant is the right choice if you are tired from the monotonous chore of cooking. So head to CaveLand Restaurant and eat a heart-full meal that satiates your soul.